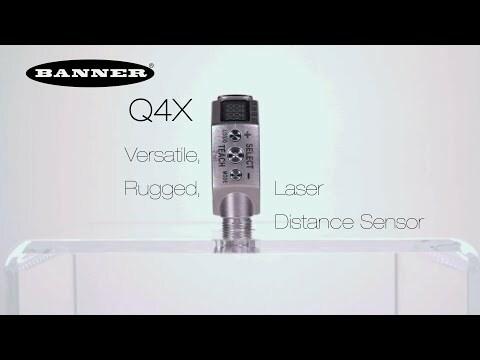 Minneapolis, MN—July 7, 2015—Banner Engineering has improved its industry-recognized Q4X laser distance sensor with a new dual teach mode. Featuring new firmware, the Q4X dual teach mode sensor combines window thresholds on both target distance and target reflected intensity, allowing the Q4X to reliably solve difficult applications with ease. The Q4X can now detect clear objects without requiring a retro-reflector. Dual mode can be used to error-proof applications by ensuring the correct color part is located at the correct position.